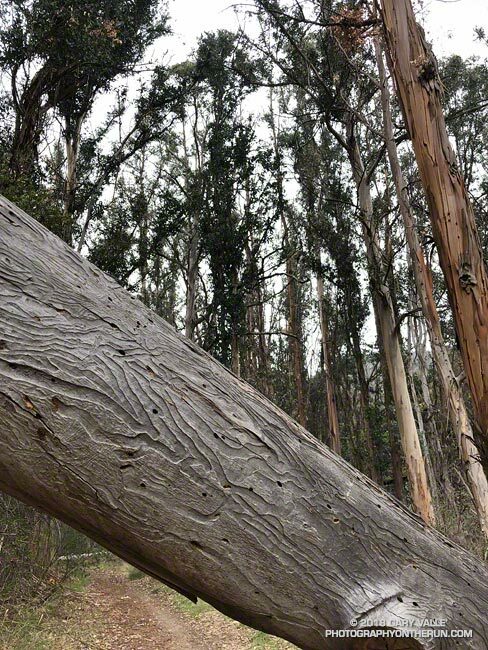 Photography on the Run: Fallen eucalyptus in Rivas Canyon. The tree was likely weakened by Southern California's multi-year drought. The grooves on the trunk are from Longhorned Borer beetle larvae. Fallen eucalyptus in Rivas Canyon. The tree was likely weakened by Southern California's multi-year drought. The grooves on the trunk are from Longhorned Borer beetle larvae.